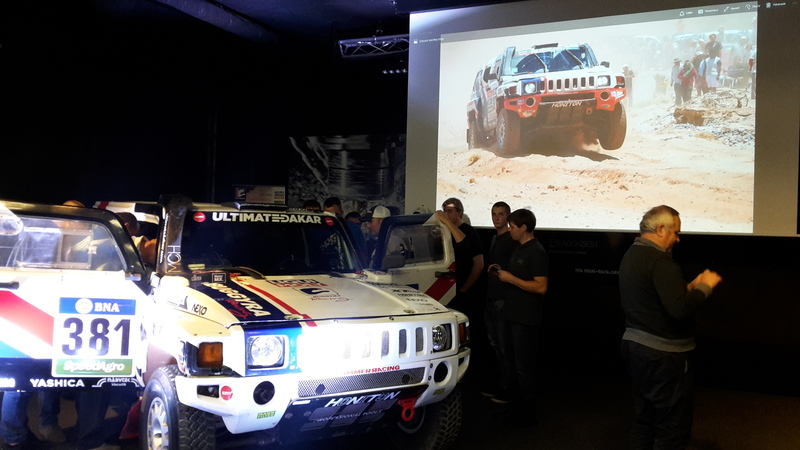 The first part of the marathon stage and the encounter with the first dunes was successful for the crew of Buggyra Ultimate Dakar. 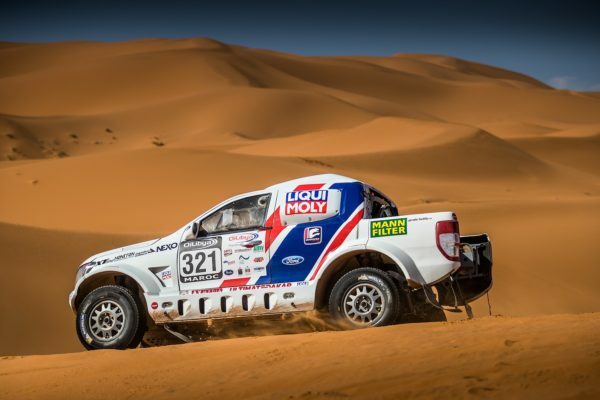 With very careful driving, Tomas Ourednicek and Pavel Vaculik finished 19th with South Racing’s Ford Ranger Dakar in Stage 2 of Morocco Rally. In the overall classification, Tomas and Pavel climbed up to 17th position after the longest day of the race. 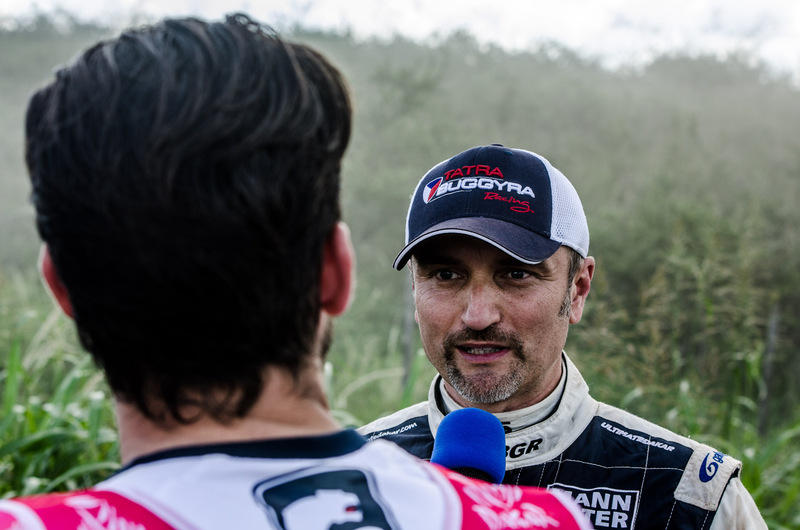 “Today was the first part of the marathon stage and since we have no repairing experience with the Ford, it was extremely important for us to keep the car in one piece. So we decided to stay on the safe side, especially after we saw Harry Hunt’s damaged Peugeot. 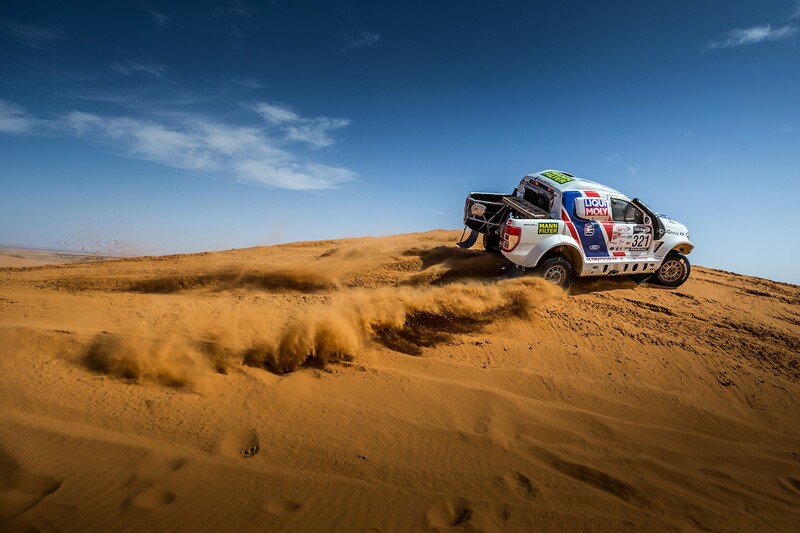 Fortunately the crew was OK.
Today we had the first dunes and I was quite afraid before them, but the dune section turned out to be real fun. 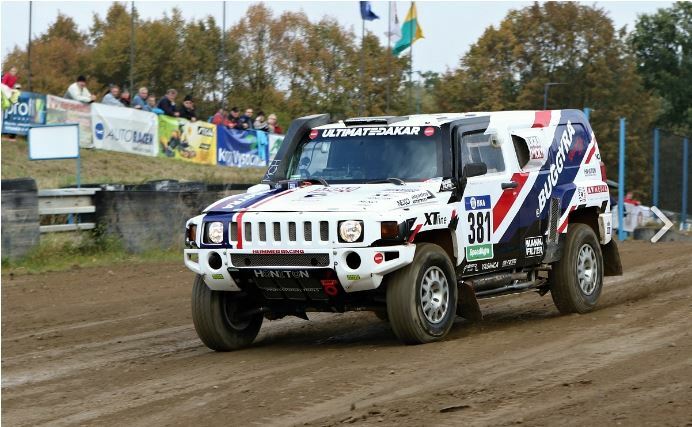 Unlike our Hummer, the Ranger has the power needed in this type of terrain, so we really enjoyed racing. Once we had a quite big jump, it was an interesting feeling, but there was no problem. Close to the end of the special we had to slow down drastically to avoid collision with a quad, but so we lost momentum and got stuck. 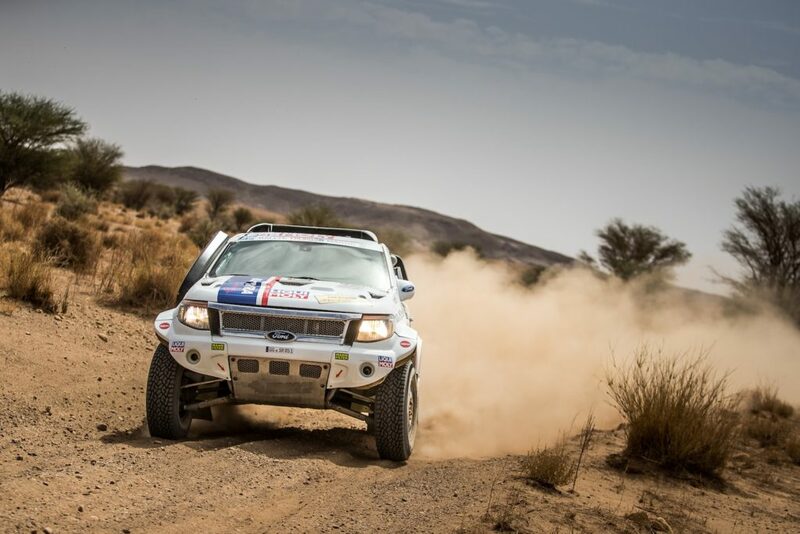 We had two navigational problems during the day, but the car is perfect apart from a small problem with the cooling of the rear brake, so we are really happy” Tomas summarised the second stage of Morocco Rally. Tomorrow, the third stage and second part of the marathon stage leads the competitors to Erfoud where they can enjoy the company of their teams again, but before that they have to cope with a 315 km track. 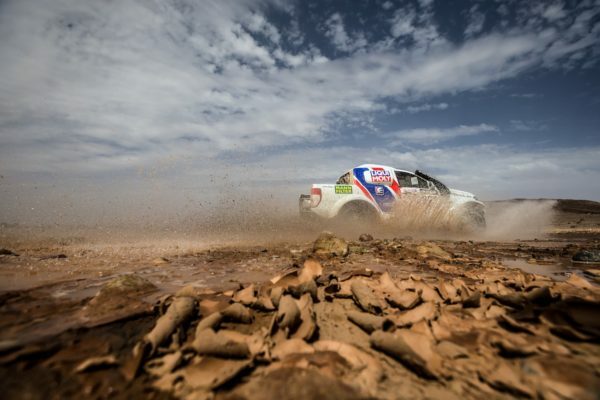 The total distance of the stage will be 390 km.